After the Final Fantasy Record Keeper website's countdown finished, the rest of the website for the smartphone game was revealed, along with details about the game. 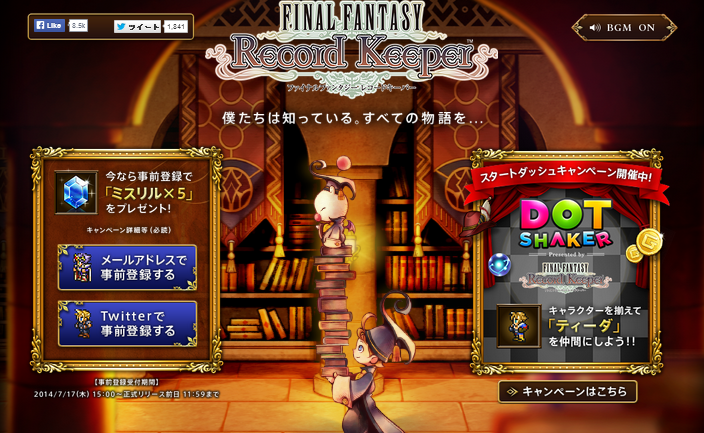 In Final Fantasy Record Keeper, players can access battles from older Final Fantasy games. Each Final Fantasy game will a feature a world that can be accessed through paintings in the game. After clearing the world's dungeons, you can unlock playable characters from each game. The game will be released in Japan for smartphones and will be free, but will also feature microtransactions.